Open from Wednesday through Sunday, from 10h00 till 13h00 and from 14h00 till 18h00. Our Caviste, Cedric, welcomes you for this discovery of the wines of the Loire Valley. The region is equally well known for the quality of its monuments as for the variety of wines produced - wines which suit any taste or sitaution. Cedric will be delighted to guide you in your choice. "Wine is the intellectual part of the meal. The meat and vegetables are the raw materiel..." - Alexandre Dumas. Excess consumption of alchohol is bad for your health. Drink with moderation. 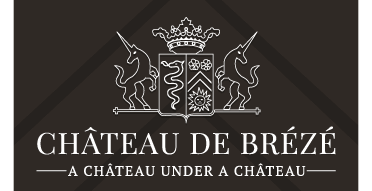 Venez fêter Pâques au château de Brézé ! Pâques au château de Brézé jusqu'au 5 mai ! Visitez un lieu chargé d'histoire dans le Val de Loire ! Découvrez des souterrains médiévaux uniques en Europe ! 11 centuries of history : A château with many collections ! "Brézé : a château under a château"
"Brézé. A castle in the high league." "Guided tours of the castle's appartments"
"The war of the castles is declared"
"The bells of Château de Brézé"
"Brézé, under the stones, the troglodytes"